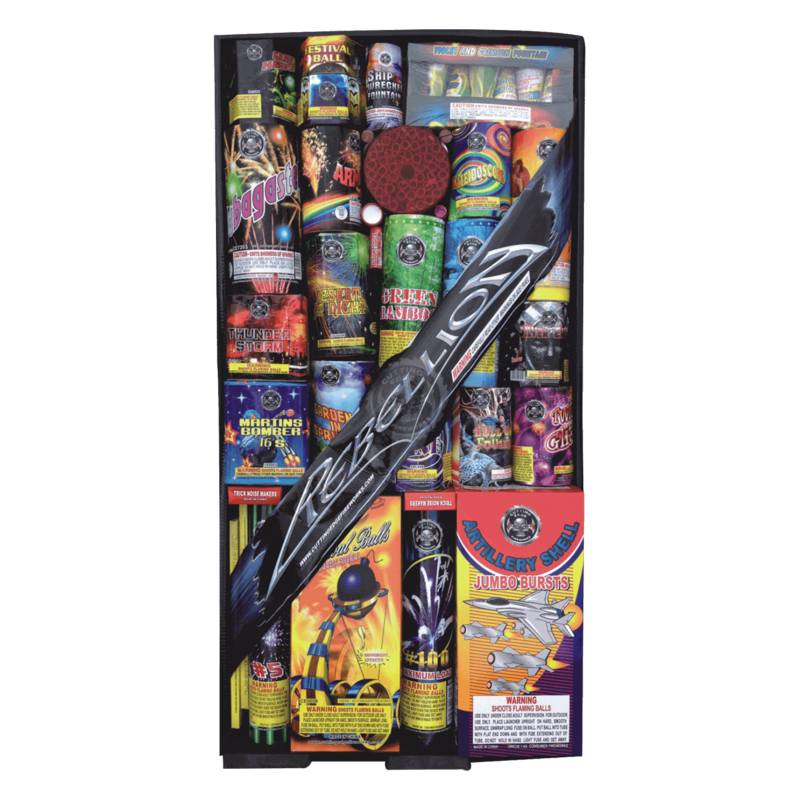 The Rebellion Assortment is our best selling Fireworks assortment, featuring items that will entertain all ages and light up the night sky. The assortment contains sparklers, snaps, ground spinners, some small fountains, more than a dozen small to mid sized 200 gram cakes, two tubes, and a dozen Cutting Edge Artillery shells. A great value that will keep you going and going.